Originally released in February 2011, Google Panda is an on-going upgrade of Google’s search results ranking algorithm. The purpose of Panda is to put higher-quality sites near the top of organic search results while pushing low-quality sites further down the list. Panda does this by acting as a filter to eliminate search results that are not useful to users such as those created only to attract traffic in order to get impressions and display advertising. Low-quality websites are also referred to as “thin,” which often means there are a lot of ads yet relatively little quality content. So what exactly does high quality mean to Google? In a word: content. You must have relevant, unique, and valuable content on your site or you will be penalized with lower search rankings. But since quality is a subjective term, below are some specific things to remember when creating content. Read our previous post to learn more about Google Panda 4.2. Create unique content instead of “borrowing” or cutting and pasting content from other sites. Write articles and blog posts that are relevant, interesting, and valuable to your visitors. This means content that provides solid, verifiable information, answers pressing questions about your products or service, and generally displays your expertise. Follow solid SEO practices by using keywords in a natural way within your copy rather than stuffing keywords awkwardly into copy in order to drive traffic only. Focus on quality over quantity. Remember that a 300-word article that provides helpful information is better than a poorly written 1,000-word article of little value or substance. Build your relevance and expertise by getting other trusted websites to link to your articles, blog posts, and other content. Being active on social media is a proven tactic for doing this. Make sure your headlines and subheads correspond to your article content. For example, if the title is “How to create quality web content,” the copy should specifically explain how to do this rather than gloss over the subject with vague or confusing language. Always remember that your content is a reflection of your brand. Take time to create useful content to impress visitors and enhance your brand. 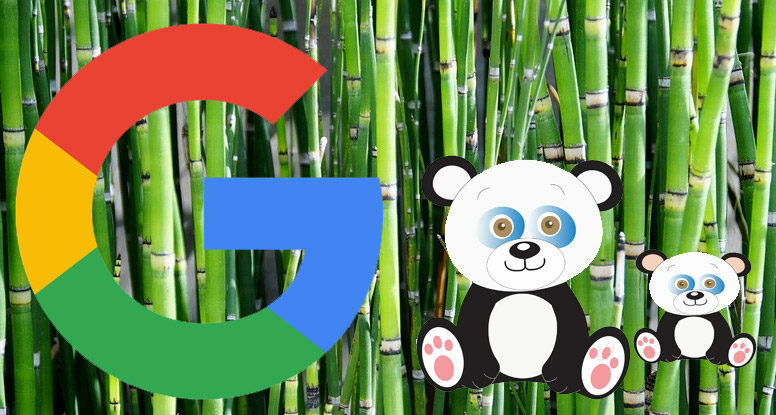 Panda is one of more than 200 signals Google uses to rank pages, but it is a powerful filter that looks at sites as a whole rather than only individual pages. That means even a few low-quality pages can drag down a site’s overall ranking so be sure to look closely at all your content. Avoid duplicate copy, boilerplate language, and redundant articles on your site. This is also known as “spun” or “automated” content. Using duplicate content is a guaranteed way to hurt your traffic. Avoid category pages with little content and long lists of links to products. Avoid gathering aggregate content from multiple sites, such as news sites or coupon sites, and displaying it as your own. If you do need to link or reference other sites, make sure it’s only to reinforce your own unique content. Either remove or update out-of-date or otherwise irrelevant pages on your site. Finally, here’s a tip to determine if your site is plagued with “thin” content: If you have low click-through rates, a high bounce rate, few returning unique visitors, and users are spending little time on your site overall, your content is likely weak and in need of an overhaul. It’s important to know that Google Panda is updated regularly, so creating and refreshing content is an on-going job. And while the definition of quality content is subjective, following the tips and advice above will increase your chances of earning high ranking numbers and better traffic.